For anyone who likes to scale the heights or plumb the depths – the new RAPTOR fall arrester. 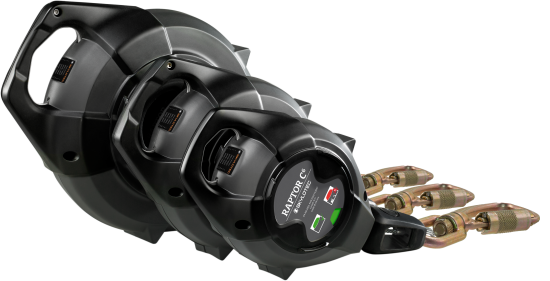 RAPTOR redefines the concept of safety since it has two fall indicators that are visible to every user. Other smart details include the flexible inlet dampers, the linear force distribution and unequivocal anchor point. Thanks to its sophisticated design, RAPTOR also inspires when it comes to storage, maintenance and durability. All fall arresters are certified to EN 360 and ANSI Z359.14:2007 and can secure a person with a maximum user weight of 140 kg. 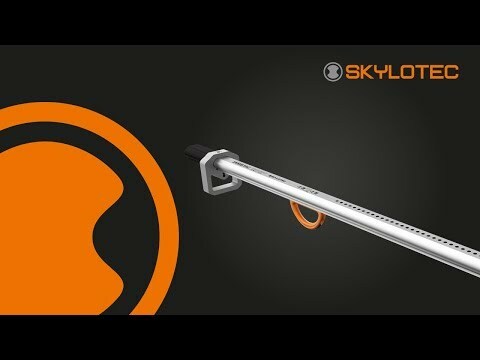 The device has two fall indicators - one in the housing and one on the carabiner. These use a clear system of colour symbols to indicate whether the fall arrester is still safe to use, or whether it needs to be checked by a professional. A green indicator means that the device is intact. A red indicator warns against further use because the brake has already been triggered. The user is therefore protected against using a device that is not ready for use, and it can also save time during the annual prescribed audit. An energy-absorbing inlet damper made from plastic prevents the carabiner from striking un-braked against the device housing when the rope is being retracted. This protects the fall arrester not just against constantly occurring impacts, but also against hand injuries and crushing when the rope is being retracted. The fall arrester is intuitive in terms of its operation, since the anchor point is clearly designed in the shape of a handle and therefore only allows one clear fastening option. 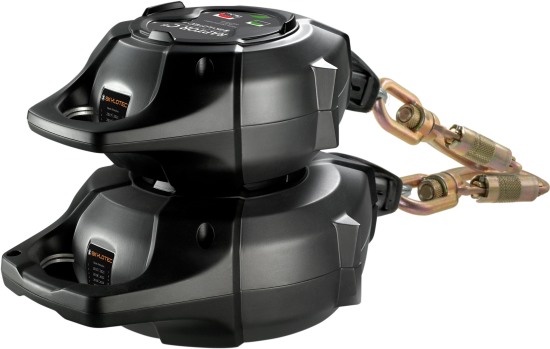 The special device design makes it possible to also store the fall arresters on their side and stack them on top of each other. The RAPTOR is available with a steel cable or a stainless steel cable as well as a webbing in various lengths (see below). RAPTOR can be stacked without damaging the units using integrated spacer pieces. RAPTOR can be stored laterally and in a space saving manner, thanks to the spacer pieces.  With RAPTOR attached overhead, it’s possible to work safely up to an angle of 45° with lateral deflection of up to 1.5 m.
When using the RAPTOR, a working height of at least 4 meters must be respected.